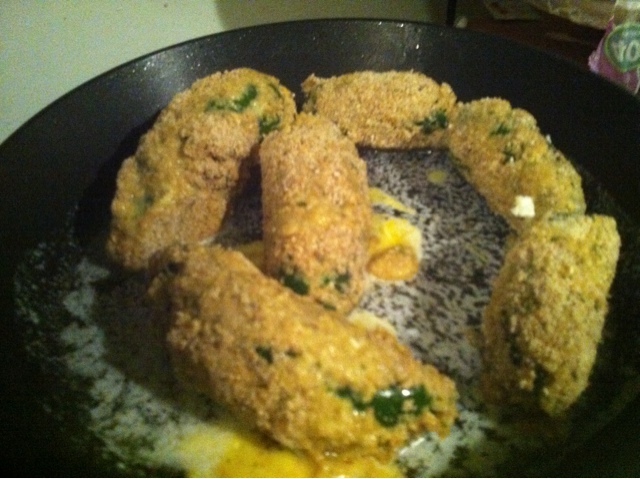 I made these one day when I realized that I bought too many jalapenos. I had some fresh queso fresco and was inspired. Luckily I had two willing taste testers to try out my new yummy recipe. In a small bowl, mix eggs with milk. Fill a plate with the bread crumbs. 1.) 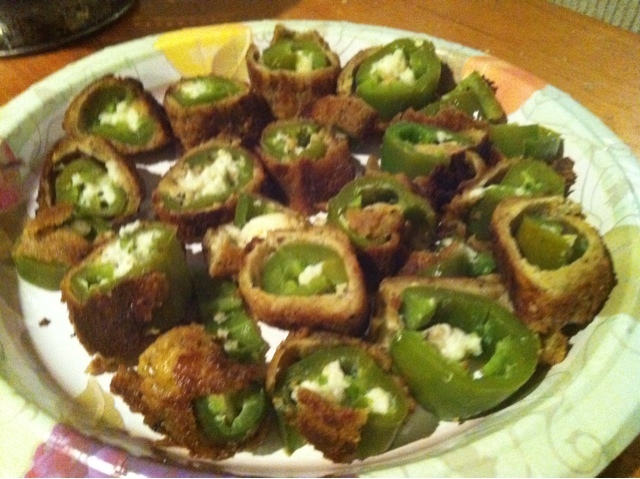 Fill the jalapenos with slivers of cheese, make sure they can close. 4.) Place in a pan with butter or oil and let fry. The jalapenos will lose some of the heat, but these are so easy and tasty. I diced them into smaller pieces. I wasn’t sure we could eat them all, but we did.